Each week, a new challenge is added to our two challenge boxes in each Key Stage hall. Don't forget to pick yours up on a Monday morning, complete and then post. Every term, challenges are collected, marked and a winner is selected at random from the correct entries. Winners will be announced in our end of term assemblies and the winners will be presented with a box of prizes! 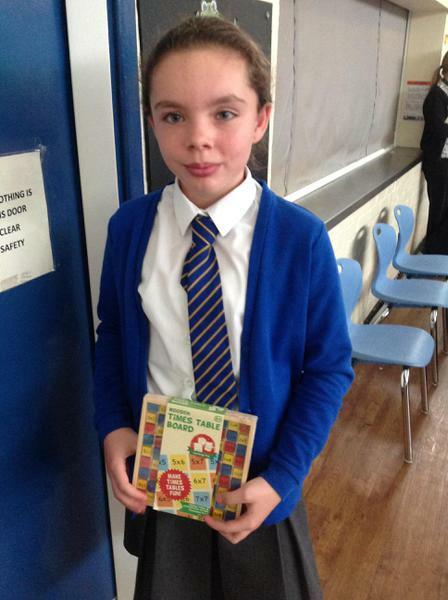 Mr Moore set a challenge for the Maths Champions to promote the Maths Challenge in class. The Champion that promoted it the best won a prize and so did a member of the class.